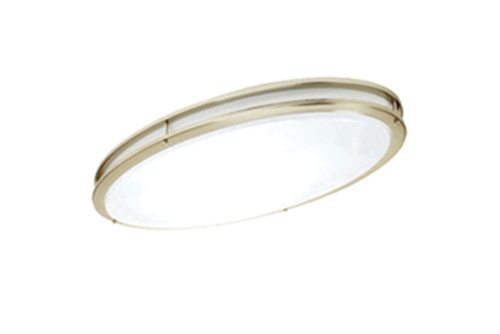 This decorative LED oval-shaped ceiling light is ideal for kitchens, workshops, offices and many other light commercial or residential settings. - Satin nickel finish, opal white diffuser, and oval shape. - Contemporary style flushmount oval ceiling. - Suitable for surface mounting. - Input Voltage: 120V- 277V, 60HZ.